Check out the gorgeous cover for the first book in The Lunar Chronicles by Marissa Meyer, Cinder! 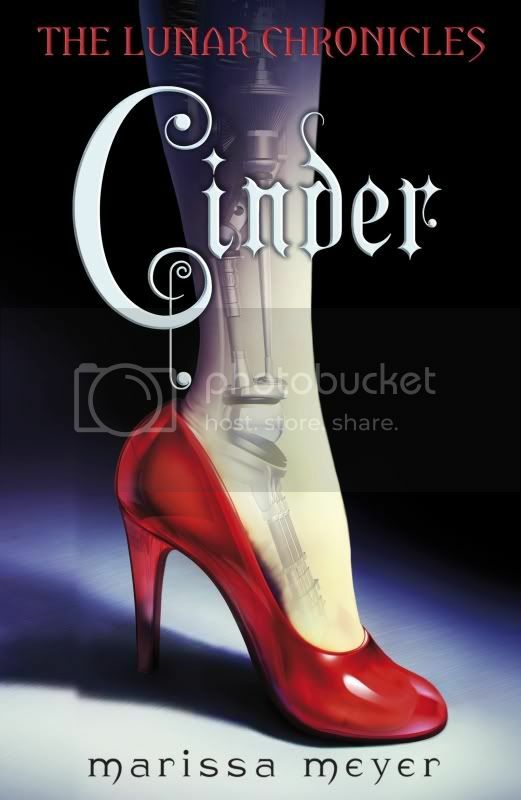 Cinder by Marissa Meyer (released 5th January 2012) - A forbidden romance. Isn't it gorgeous?! And it sounds so intriguing! You can read an extract here and check out The Lunar Chronicles' Facbeook page. I might read this book because I love Cinderella, but I have to admit, I don't like the cover very much. It grosses me out for some reason. I'm in love with this cover and I can't wait to read it! Kelly - It is a little freaky, but that's why it's so cool! It's intriguing! It's awesome, isn't it!? I'm reading it for review and just love the book. So happy to see you break the cover pic. :] Hope you're working on a great holiday season! It is so cool! I'm so looking forward to reading it! And thanks, hope you have a good Christmas too!